For any business student who wants something short and readable but also detailed. 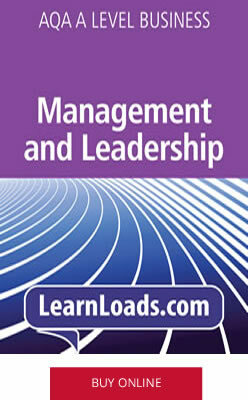 An e-book providing full coverage of Management, leadership and decision making in the new AQA A Level Business. This e-book includes chapters on: the nature of management; leadership styles; scientific and intuitive decision making; decision trees; stakeholders. 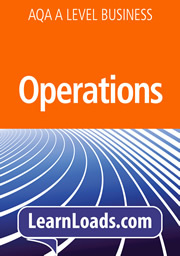 LearnLoads respects your privacy and will not pass personal details to third-parties. A very good teaching aid! Even the most reluctant learner should find something of interest…a strong competitor.